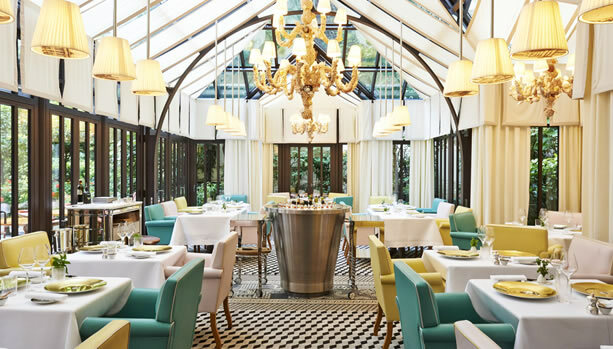 Enjoy each other’s company before your bundle of joy arrives and spend your Paris babymoon at the luxurious five star Le Royal Monceau, Raffles Paris, France. Celebrate your Pregnancy in Paris and enjoy those last moments before baby. 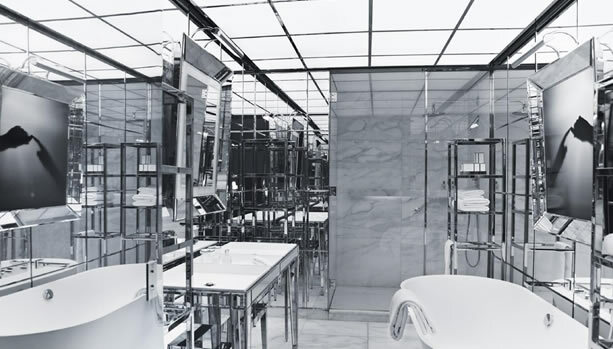 Chic, sophisticated, surprising, Le Royal Monceau, Raffles Paris represents the next generation of Palace hotels in the heart of Paris. Within walking distance of the Arc de Triomphe, Champs Elysées and beautiful Parc Monceau, it is now, as it has always been, one of the essential spots in which to experience the beauty, style and social buzz of this extraordinary city. Totally transformed by the famous French designer Philippe Starck, inspiration came from the iconic eras of the 1940s and 50s. The luxurious chic décor is in tune with the Art Deco heritage of the building but has a striking and inspiring individuality. Stepping into your room is like visiting a dear friend who has handed you the keys to their private home – where the décor, the ornaments and the artwork are all part of a personal story. 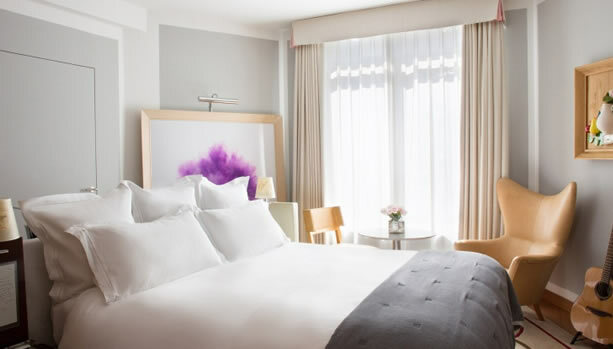 Le Royal Monceau, Raffles Paris has 149 luxurious rooms, including 3 stunning Presidential Suites. A unique haven of peace and relaxation in the heart of Paris, My Blend by Clarins is a paradise of pure white. 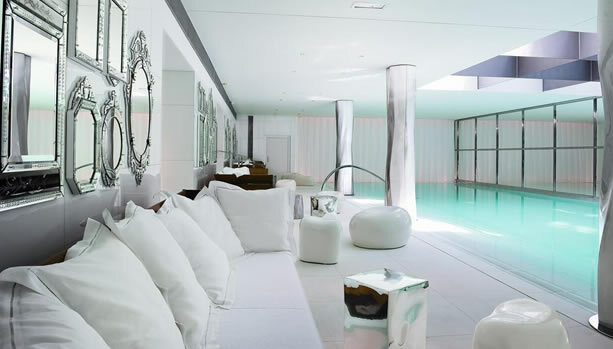 Calming and elegant, this 1,500 square meter space includes a 23-meter pool, the longest ever built in a Paris luxury hotel. The exclusive treatments, relaxation rooms – including a hammam, laconium room and sauna, and dedicated fitness coaches – make this spa a temple of tailor-made luxury. This unique Spa is the first for My Blend by Clarins. For mum-to-be on her Paris Babymoon, the Beautiful Mother-to-be Tri-Active Body Treatment is available. 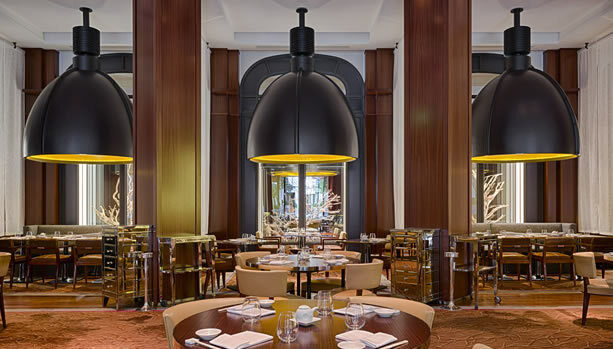 Each restaurant and bar at Le Royal Monceau, Raffles Paris has its own unique atmosphere and setting – something to suit every mood and every occasion. 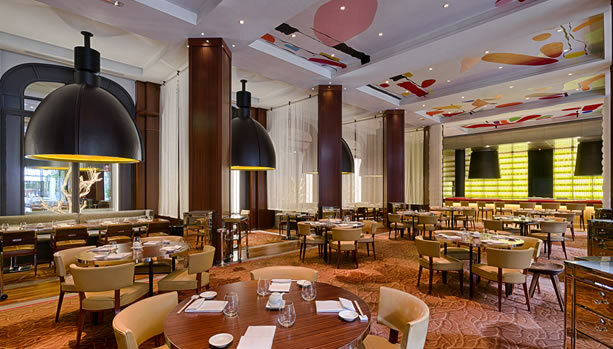 La Cuisine – a friendly and artistic space for breakfasts and exceptional brunches. 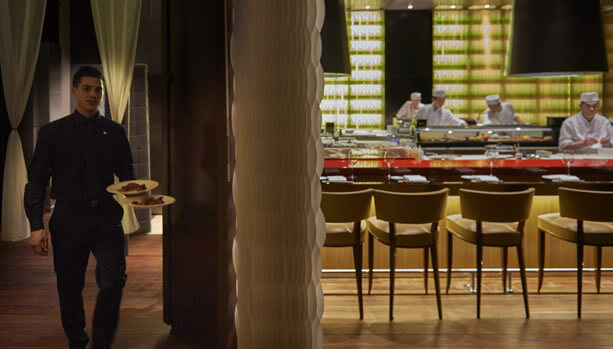 Il Carpaccio one Michelin-star – a restaurant entirely dedicated to Italian fine cuisine. Le Bar Long – designed as a living room that welcomes guests all day long to meet, gather, eat and relive the effervescent mood of the 1930s. Terrace Garden – for al fresco dining. 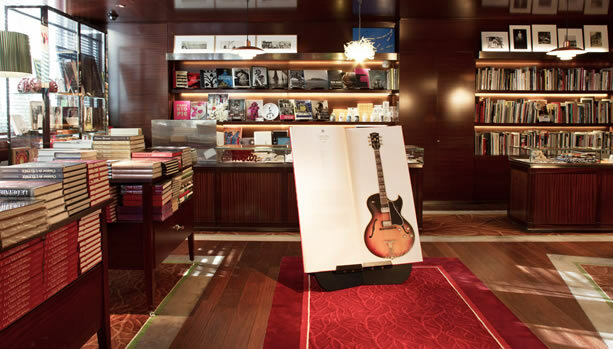 Viñales Lounge – Become a member of our luxurious Viñales Club, a cosy lounge filled with fine materials, books and works of art. The Katara Cinema is an exceptional venue for meetings, product launches and presentations, board meetings, press conferences, and so much more. 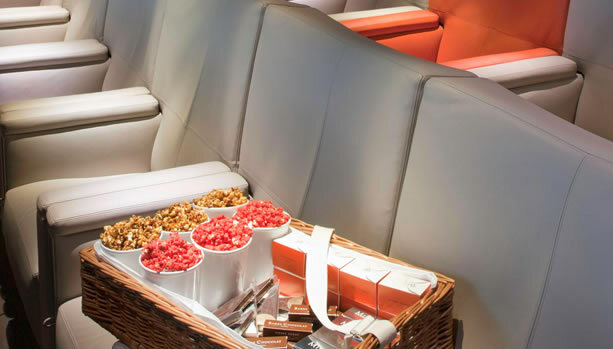 This luxurious 99-seat movie theatre has spectacular state-of-the-art equipment and is considered to be one of the best in Europe. An in-house Art Gallery with contemporary art for private events or cocktails. This exhibition space host unique and prestigious shows: retrospectives, exclusive productions, presentations of collections. 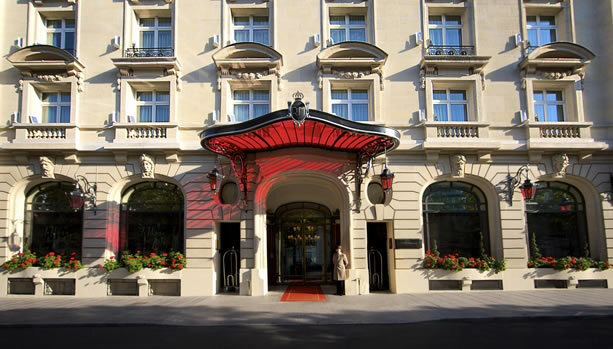 Located on the prestigious Avenue Hoche, only steps away from the Champs-Elysées, the Arc de Triomphe and the elegant Parc Monceau, Le Royal Monceau, Raffles Paris is ideally located in order to help you fully experience the rich and vibrant atmosphere of Paris. 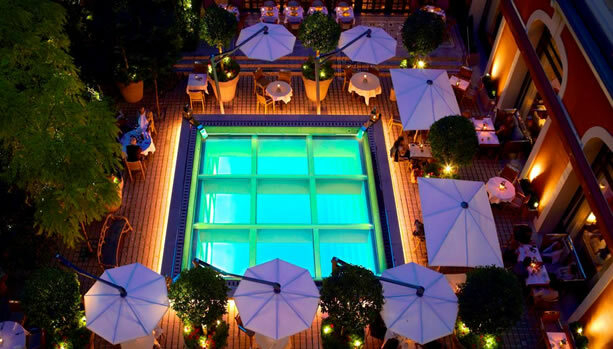 Ready for this unforgettable Paris Babymoon Experience at Le Royal Monceau, Raffles Paris?